It can be used independently or in conjunction with psychotherapy. 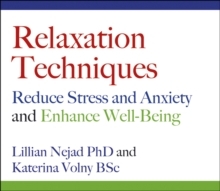 The programme contains seven simple yet powerful techniques to help experience everyday relaxation and each exercise is preceded by clear and simple instructions for their use. By repeated practice of the relaxation exercises the listener can overcome stress and anxiety for a more healthful, improved lifestyle.